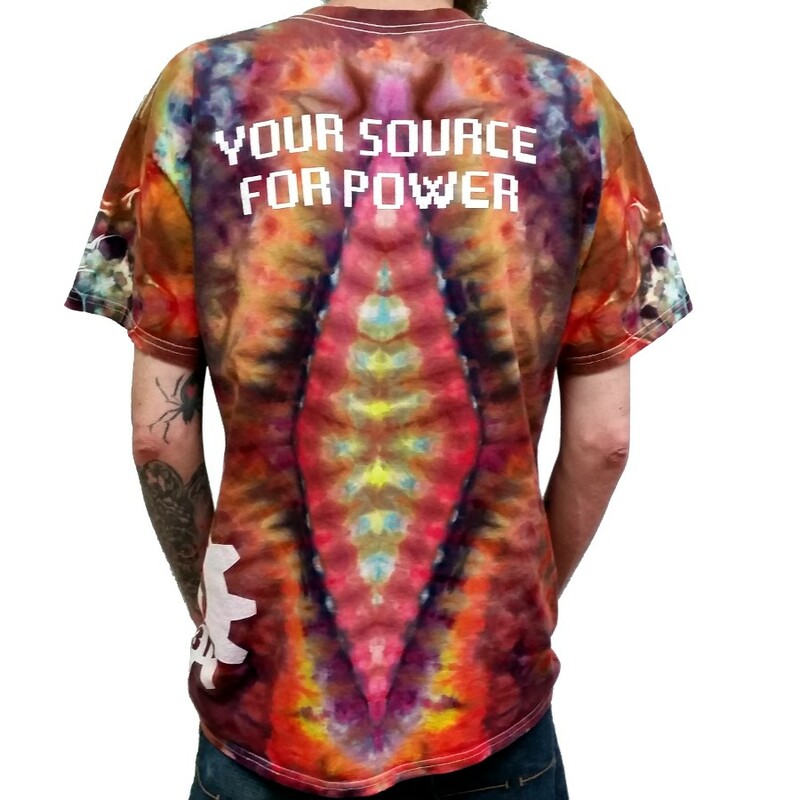 Each shirt has a unique design. 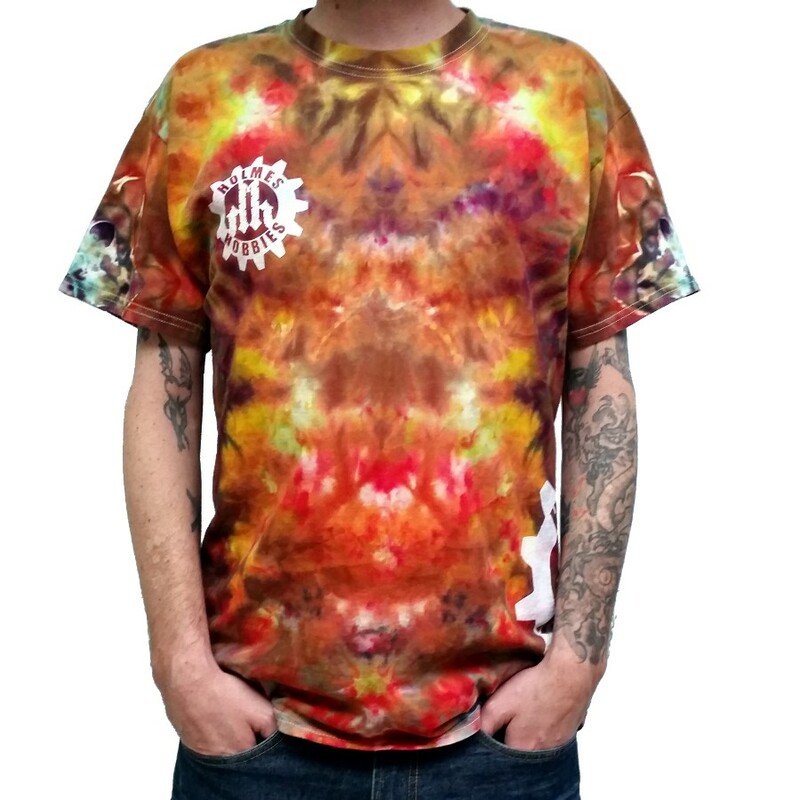 Order now while supplies last! 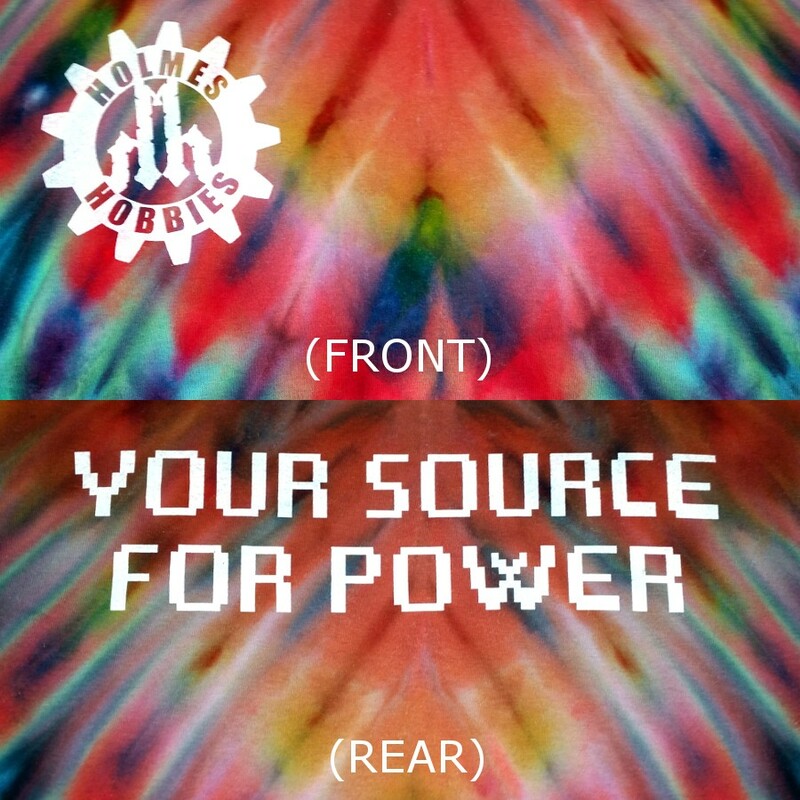 Holmes Hobbies 100% cotton tie dye T shirt featuring small logo on chest and large logo on side with "YOUR SOURCE FOR POWER" on the back.